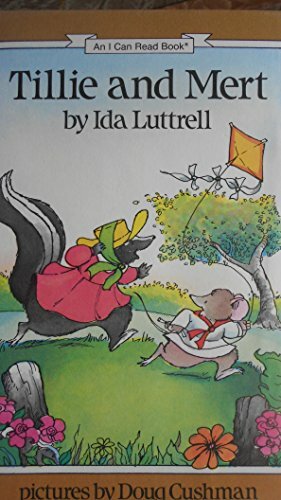 Splashed by shades of pink and green, Cushman's pictures ideally illustrate the three stories in Luttrell's I Can Read Book, starring Tillie Skunk and Mert Fieldmouse. "The Garage Sale" concerns the vaunted bargains offered by shrewd Weasel. Ignoring Mert's advice, Tillie buys an umbrella, a purse and a teapot because they have only tiny holes. The purchases soon prove to be mistakes, but the two friends laugh off the incident over a cup of tea from Tillie's old, undamaged pot. In "Sister Alice" and "The Store," Tillie and Mert weather other crises through mutual support and willingness to learn. The little tales are crisply told, funny adventures with neatly implied morals.